I simply adore all things wedding. In fact, yesterday, I am pretty sure I spent 4+ hours watching a marathon of bridal shows on WE TV. THE ROYAL WEDDING! Oh my goodness! Watching the royal wedding with my pledge class was one of my favorite "Kappa Moments". We claimed the basement, setting up sleeping bags and pillows after dinner, then stayed up all night watching the coverage. 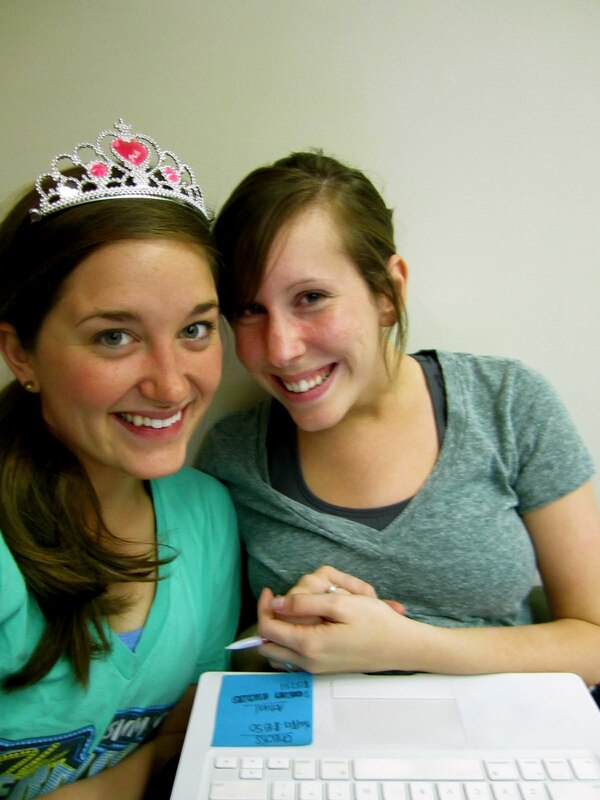 Earlier in the day, we made a run to the dollar store to pick up the beautiful tiaras that you see in the pictures! I loved seeing the coverage of Diana and Charles wedding. 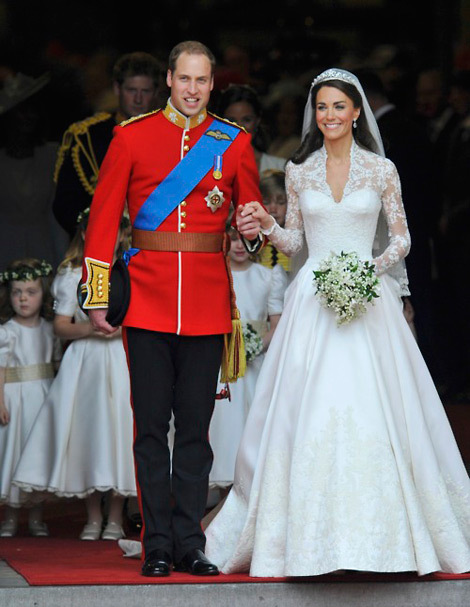 I also enjoyed watching the procession to the church, and the moment when Harry turned to William and whispered to him. Pippa was stunning, as was Kate of course! We were caught off guard by the second kiss on the balcony...so sweet! "Every wedding is a royal wedding, for we are subjects of the King of Creation"
Katie had a BEAUTIFUL bridal shower, thrown by all of the Aunts or "Ants" (see poster) on the Wessel side of the family! The young Wessel girls were eager to help! Members of the wedding party, so fun! 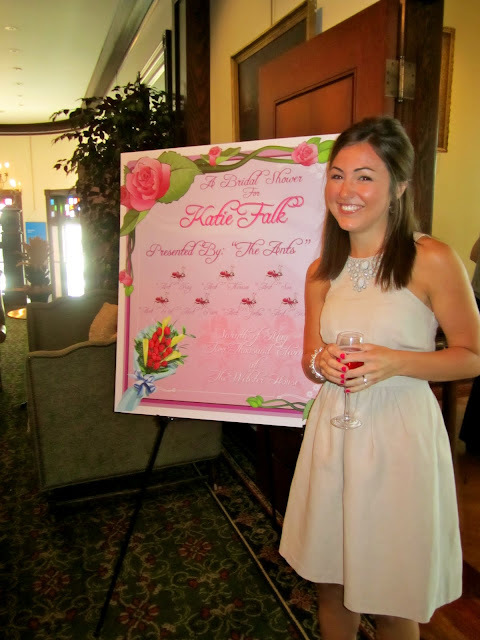 I can't wait to celebrate with Katie and Joey in a few short weeks! They are perfect for each other and will have a wonderful "Royal Wedding"!! !